Relevant and irrelevant costs refer to a classification of costs. It is important in the context of managerial decision-making. Costs that are affected by a decision are relevant costs and those costs that are not affected are irrelevant costs. As irrelevant costs are not affected by a decision, they are ignored in decision making. While evaluating two alternatives, the focus of analysis is on finding out which alternative is more profitable. The profitability is judged by considering the revenues generated by and costs incurred. Some costs may remain the same; but some costs may vary between the alternatives. Proper classification of costs between relevant and irrelevant costs is useful in such situations. Selling a semi-finished product or processed one. Costs that are same for various alternatives are not considered e.g. fixed costs. Only those costs that are different for each alternative are the relevant costs and are considered in decision making e.g. variable costs. Fixed costs can also be relevant if they change due to a decision. For example, in case of idle capacity utilization; additional costs that will be incurred for utilizing idle capacity are relevant costs. The costs that are already incurred are irrelevant costs. Additional costs are compared with the additional revenue from utilizing idle capacity. If the additional revenue is greater than the additional cost, it is profitable to utilize the idle capacity. Various types of relevant costs are variable or marginal costs, incremental costs, specific costs, avoidable fixed costs, opportunity costs, etc. The irrelevant costs are fixed costs, sunk costs, overhead costs, committed costs, historical costs, etc. A relevant cost is any cost that will be different among various alternatives. Decisions apply to future, relevant costs are the future costs rather than the historical costs. Relevant cost describes avoidable costs that are incurred to implement decisions. For example, a company truck carrying some goods from city A to city B, is loaded with one more ton of goods. The relevant cost is the cost of loading and unloading the additional cargo, and not the cost of the fuel, driver salary, etc. It is due to the fact that the truck was going to the city B anyhow, and the expenditure was already committed on fuel, drive salary, etc. It was a sunk cost even before the decision of sending additional cargo. Relevant costs are also referred to as differential costs. They differ among different alternatives. They are expected future costs and relevant to decision making. Cash expense, which will be incurred in future because of a decision, is a relevant cost. Only the costs, which can be avoided if a particular decision is not implemented, are relevant for decision making. Cash inflows, which would have to be sacrificed as a result of a decision, are relevant costs. Only the incremental or differential costs related to the different alternatives, are relevant costs. Irrelevant costs are costs which are independent of the various decisions or alternatives. They are not considered in making a decision. Irrelevant costs may be classified into two categories viz. sunk costs and costs which are same for different alternatives. Sunk cost is a cost which is already incurred. It cannot be changed by any current or future action. For example if a new machine is purchased to replace an old machine; the cost of old machine would be sunk cost. Irrelevant costs are fixed costs, sunk costs, book values, etc. Irrelevant or sunk costs are to be ignored when deciding on a future course of action. Otherwise, these costs could lead to a wrong decision. For example, at the time of decision to replace typewriters by computers, all corporations ignored the cost of typewriters, even though some of them were bought just some time before the decision. If the cost of typewriters had been taken into consideration, some of the corporations could have erred and delayed the computerization decision. Sunk costs include costs like insurance that has already been paid by the company, hence it cannot be affected by any future decision. Unavoidable costs are those that the company will incur regardless of the decision it makes, e.g. committed fixed costs like depreciation on existing plant. These are the costs that will be incurred in all the alternatives being considered. As they are the same in all alternatives, these costs become irrelevant and should not be considered in decision making. Sunk costs refer to the expenditures which have already been incurred. Sunk costs are irrelevant, as they do not affect the future cash flows. Future costs, which cannot be altered, are not relevant as they will have to be incurred irrespective of the decision made. Non-cash expenses like depreciation are not relevant as they do not affect the cash flows of a firm. General and administrative overheads, that are not affected by the alternative decisions, are not relevant. The basic costing process of both the relevant cost and irrelevant cost is almost same. 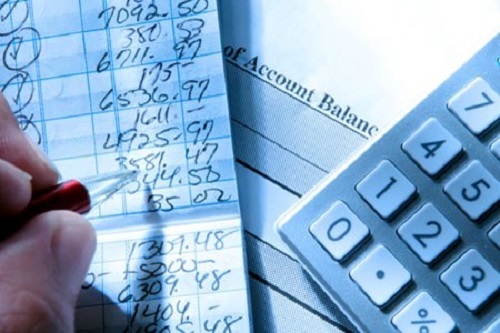 Both are based on the sound principles and techniques of accounting and costing. Both the costs aim at recording the various business expenses. Both want to accurately reflect the costs in the financial statements and records. Both relevant costs and irrelevant costs are required to provide estimates of average cost of production or service offering of an organization or business. Both relevant cost and irrelevant cost are taken into account, while determining the total cost of operations or running a factory or business. Usually, most variable costs are relevant as they vary depending on selected alternative. Fixed costs are thought to be irrelevant assuming that the decision does not involve doing anything that would change these fixed costs. But, a decision alternative being considered might involve a change in fixed costs, e.g. a bigger factory shade. Thus, both fixed cost and variable cost become relevant costs. In the long term, both relevant and irrelevant costs become variable costs. Relevant costs are usually variable in nature, while irrelevant costs are usually fixed in nature. The relevant costs are mainly related to the operational or recurring expenditures, whereas the irrelevant costs are mainly related to the capital or one-off expenditures. The relevant costs are usually related to the short term, while the irrelevant costs are usually related to the long term. The relevant costs are incurred mainly by the lower management, whereas the irrelevant costs are mainly incurred by top management. The relevant costs are usually related to a particular division or section, whereas the irrelevant costs are usually related to organization wide activities. The relevant costs are focused on daily or routine activities, whereas the irrelevant costs are focused on non-routine activities. The relevant costs may be avoided, whereas the irrelevant costs are usually unavoidable. Relevant costs are affected by a new decision. Irrelevant costs have to be incurred irrespective of a new decision. The relevant costs affect the future cash flows, whereas the irrelevant costs do not affect future cash flows. The types of relevant costs are incremental costs, avoidable costs, opportunity costs, etc. ; while the types of irrelevant costs are committed costs, sunk costs, non-cash expenses, overhead costs, etc. Effect of a New Decision Affected by a new decision. Incurred irrespective of a new decision. Effect on Future Cash Flows Future cash flows are affected by relevant costs. Irrelevant costs do not affect future cash flows. Type Incremental costs, avoidable costs, opportunity costs, etc. committed costs, sunk costs, overhead costs, non-cash expenses. While relevant costs are useful in short-term; but for the long-term, price should provide a sufficient profit margin above the total cost and not just the relevant costs. Most costs which are irrelevant in the short term become avoidable and relevant in the long term. The difference between relevant and irrelevant cost is based on whether the cost will have to be incurred additionally due to a new decision. Sometimes, it is difficult to clearly distinguish between the two. Yet, it helps in make or buy decision, accepting or rejecting an offer, extra shift decision, plant replacement, foreign market entry, shut down decisions, analyzing profitability, etc. Surendra Singh. "Difference Between Relevant Cost and Irrelevant Cost." DifferenceBetween.net. January 31, 2019 < http://www.differencebetween.net/business/difference-between-relevant-cost-and-irrelevant-cost/ >. Constas, Michael. "Relevant Costing." web.csulb.edu. California State University Long Beach. n. d. Web. 1 Oct. 2017. Burbage, Gregory M. "Relevant Costs For Decision Making." scc.losrios.edu. Sacramento City College, n. d. Web. 1 Oct. 2017. "Relevant Cost." investopedia.com. Investopedia.com, n. d. Web. 1 Oct. 2017. .
"Irrelevant Cost." investopedia.com. Investopedia.com, n. d. Web. 1 Oct. 2017. .